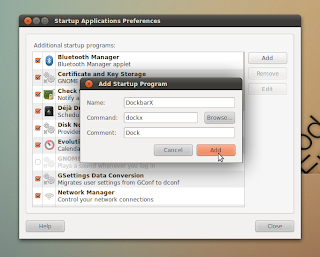 One can run AWN or Cairo Dock instead of Unity Launcher in Ubuntu Natty, but none of them supports Unity Quicklists till now, which is a handy feature. DockbarX does support the Quicklists and it is capable of fully replacing the Unity Launcher. However, since it doesn't offer a way to launch applications that aren't already anchored to it, you would need to use an independent launcher like Synapse for that, for example. 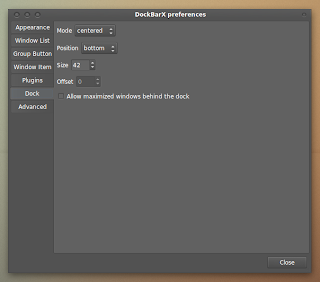 Now, when the dock is running, either just right-click on it and choose 'Properties', or alternatively, go to 'Applications > Accessories > DockbarX Preferences' or search the Dash for 'DockbarX Preferences' and open it. 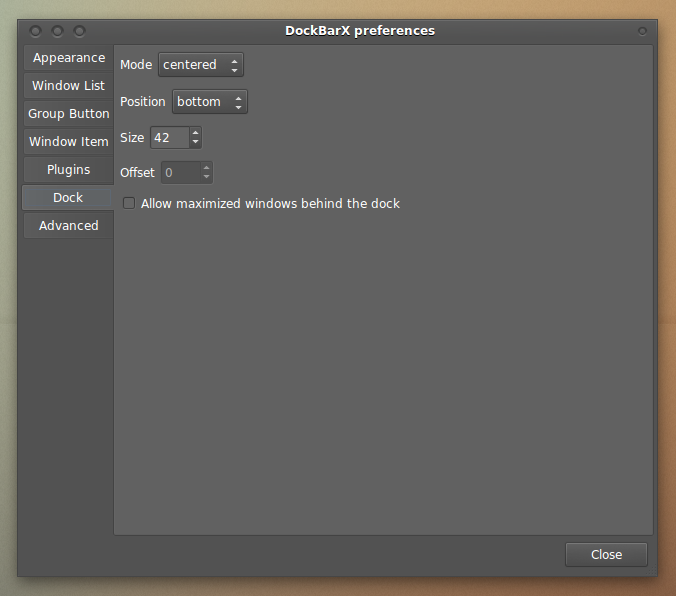 Most importantly, you need to configure the DockbarX positioning on the screen, you can set that under 'Dock'. Most of the other options are self-explanatory and you must be familiar with most of them if you have used some dock application before. As of now, you can't set DockbarX to not group application windows, neither can you set it to auto-hide, but the latter might get implemented soon. In Natty 11.04 and later, you can simply add 'DockbarX' to your Startup Applications and then disable the 'Ubuntu Unity Plugin' via CompizConfig Settings Manager. 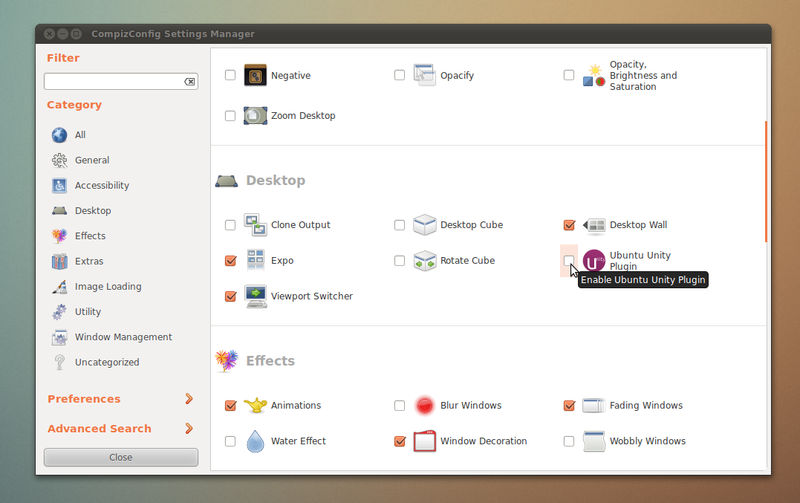 Search the Dash for 'CCSM', open it, and disable the 'Ubuntu Unity Plugin' as shown in the screenshot below. Later, if you want to re-enable Unity, you can simply gain access to CCSM by creating a launcher on your desktop by 'Right-Click > Create Launcher' and setting 'ccsm' as the command (without quotes). Or, of course, you can just launch CCSM via something like Synapse, as mentioned in the introduction.